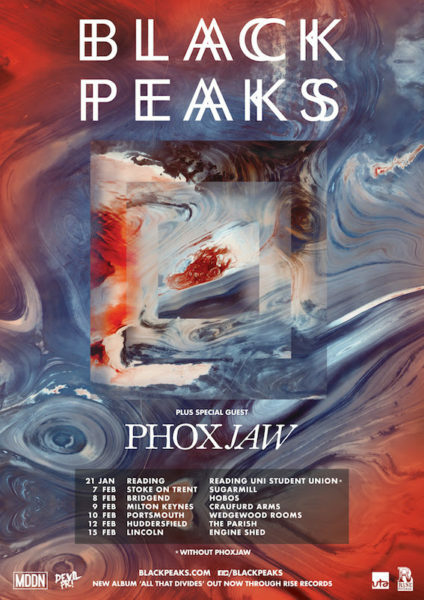 Following on from the release of their exceptional new album ‘All That Divides’, BLACK PEAKS can now announce a short headline run of dates through Feb 2019, with support on all dates from Phoxjaw. The bands recently released their 2nd album ‘All That Divides‘ garnered rave reviews across the board and is now appearing in magazine End Of Year lists. The band have already released the singles ‘Home‘, Electric Fires‘ and ‘Can’t Sleep‘, and the later was a Radio 1 Rock Show Rockest Record and Huw Stevens Single Of The Week in April, and is the opening track on ‘All That Divides‘. Live wise, in 2018, on top of their recent UK ‘All That Divides‘ headline tour (that took in two sold-out London show at The Omera and The Underworld) the band have toured with A Perfect Circle across Europe, a UK tour with Marmozets and a special one-off show for BBC Radio 1 in Swansea, as a headliner for their Biggest Weekend Fringe Festival/event. 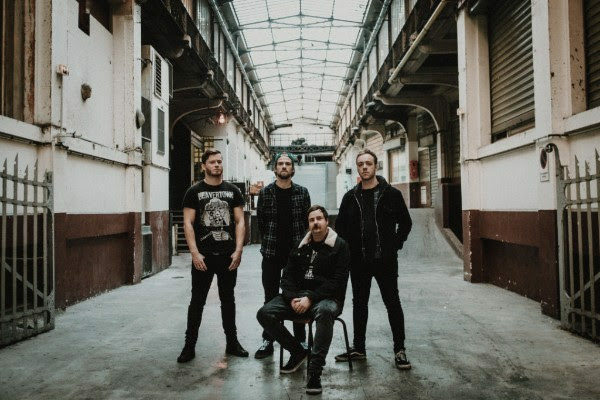 These tours add to an already impressive touring history that includes dates and tours in UK and Europe with the likes of Mastodon, Architects, A System Of A Down, Prophets Of Rage, Dillinger Escape Plan, Bury Tomorrow, Lonely The Brave and Arcane Roots. In the summer, the band will played a host of UK and European festivals including ArcTanGent (August) and Reading and Leeds (August), a 2nd stage headlining slot at the 2000trees Festival (July) and Fat Lip Festival (August). New album ‘All That Divides‘ out now on Rise Records/BMG,.